The Early Years Foundation Stage (EYFS) sets standards for the development, learning and care of children from birth to five. Children develop and learn in different ways and at different rates and all areas of learning and development are equally important and interconnected. Each principle has four commitments which explain how the principles can be put into practice. All areas of the curriculum are taught in a planned, integrated way, aimed at creating a relaxed, secure, constructive learning environment where children can be happy, confident, enquiring, interested and enthusiastic about the challenge they encounter. Developing confidence and independence while learning to concentrate, enjoy and share as part of a group. Communicating with one another and developing skills in talking, listening, writing and reading. At St. John’s we follow the Jolly Phonics Program. Using ideas about numbers, quantities, measurements, shapes and space. Investigating and beginning to understand things, places and people around them. Improving control and co-ordination of their bodies while learning to move and to handle equipment. Finding ways to communicate by using color, sound, texture, movement and stories. 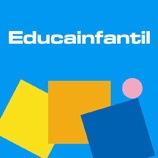 During the Foundation Stage these areas of learning will be introduced in ways that are suitable for young children, through play and specially designed activities, such as computer appreciation, pre-writing, pre-reading and pre-number schemes that have been developed. 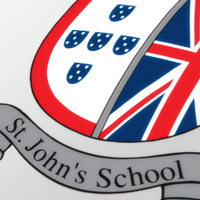 Teachers at St. John’s will always build on children's existing skills and interests in order to get the best out of your child’s time at St. John’s School.